It is a rock hill situated around 60 km from Bengaluru. It would be a nice one day trip (small trek) for the people staying in Bengaluru. Shivagange gets its name from the Holy places and temples it hosts. The spring water found here is considered to the sacred water 'Gange'. The hillock has few temples atop and a statue of Nandi carved out of single stone is a beauty. If you are taking anything to eat, Beware of monkeys! You will get water, buttermilk etc. . all along the way to top. The speciality of the place is here The ghee will be made back to butter and that butter is given as the prasadam. Ghee is available there at a costlier rate however you can take the ghee from your home too. 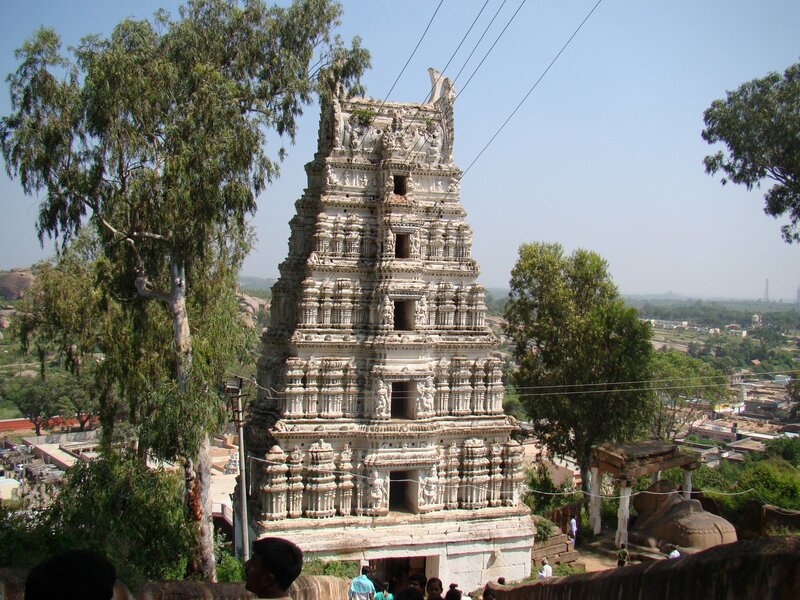 Savandurga is another place of interest nearby.